Exciting stuff! I’ve just picked up my first book from the printer. i’m now an Indie author, self published and independent. It’s a fairy story in a chapter book with a real live person working with the fairies to sort out their soil problems, the same problems that farmer’s have. 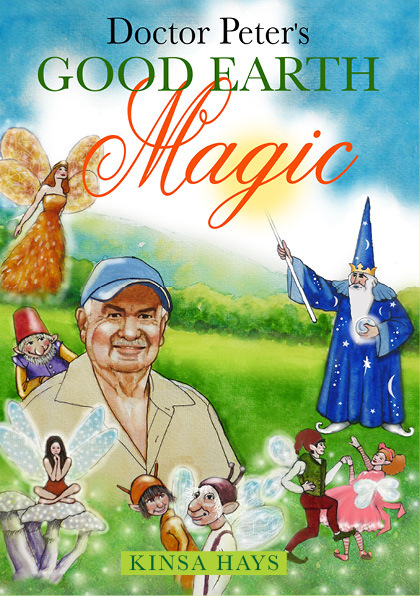 Here’s the cover – Doctor Peter’s Good Earth Magic, done by my friend Nicky Evans. The portrait of Peter Lester is truly accurate and I love the fairies and the sceptical magician!